IF YOU ARE ONLY 3 ...OR EVEN 103! 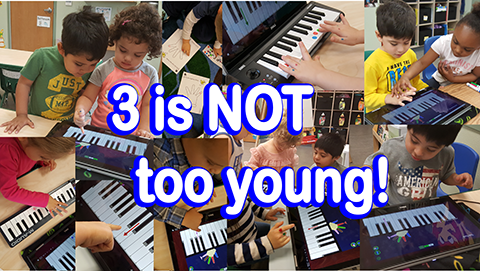 The patented unique presentation of the Anybody Can Play PIANO app makes it possible for all ages...as young as 3... to successfully play the piano and even learn to read music! and also make it easy to use the app in a teaching format such as a pre-school. TEACHERS NEED NO PRIOR MUSIC TRAINING. Just click "Piano Lessons" at the top of the page to access the ONLINE VIDEO PIANO LESSON page. 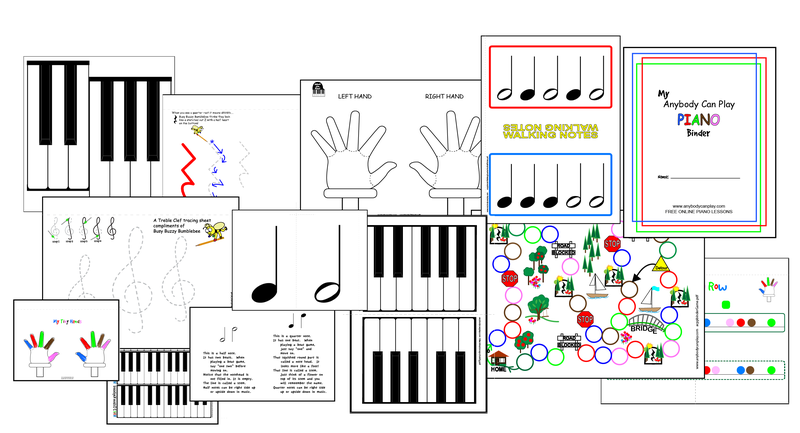 All activity sheets shown on the lesson videos can be downloaded for free. so remember to "refresh" this site often. EZ Piano Notes Busy Buzzy Bumblebee character. To enhance the learning of notation an iPad App is also available called EZPianoNotes featuring Busy Buzzy Bumblebee and Pointer. Cost for the EZPianoNotes is merely $1.99 and is available at the Apple Store.